Theres no shortage of jackin acid house around at the moment but Kink and Neville watson are more than weclome to the party. Another killer cut from the Rush Hour camp, 'Inside out' features some seriously juicy square bass acid workouts. 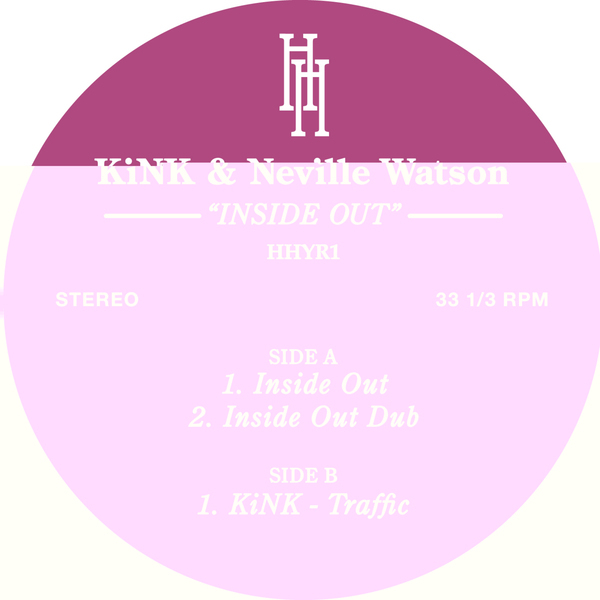 Neville Watson's title track 'inside out' keeps it simple and effective with the aforementioned rare cooked acid bass in the place, accompanied by an opulent synthline and weevilish acid line to eat your mind, in straight and dub versions. Kink's 'Traffic' raises the pressure a couple of notches on the flipside with another raw box jam, replete with nagging synthline and the addition of some natty tape style edits for authentic effect.